We’re excited that the Fashion Research Institute will be represented at the upcoming Nolcha Fashion Business Conference on May 20th in NYC, NY. This conference caters to independent fashion designers, retailers and related independent industry businesses; providing one full day of industry expert-led interactive panels and thought-leadership discussions with those who define business strategy in the fashion market. 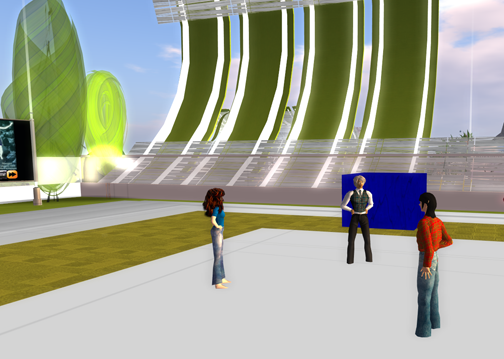 I’ll be taking the stage at 12:30 to talk about Virtual Worlds and Social Networking. Learn how fashion fits into the equation with 3D modeling, virtual runway shows and virtual fashion pieces that can not only save money, but make money. Also learn about how social networks fit into virtual worlds as an additional marketing tool for your independent business. Early bird registration ends in just 2 days, so if you’re in the NYC area, make sure you pick up your ticket fast ! 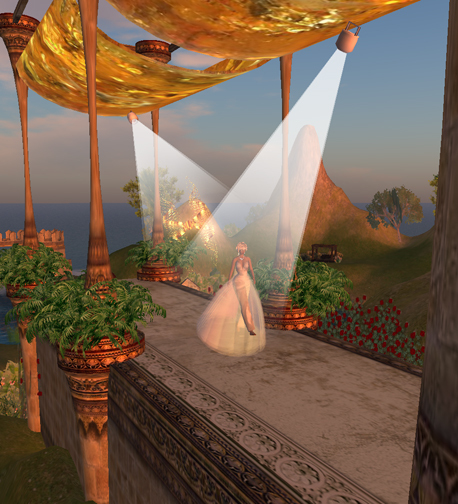 As the conference organizers of the first ever virtual worlds-based conference specifically created just for the apparel industry, one of the interesting things about working on this conference is that everyone involved knows they are making history in presenting at this event. 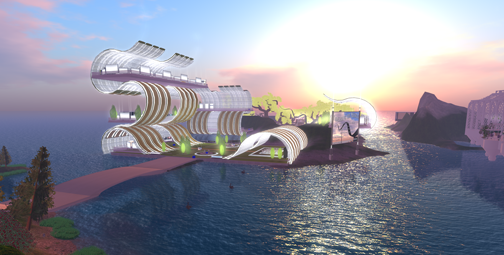 Not only is this the first ever virtual worlds-based fashion design conference, but we have chosen to present this in OpenSim, which is an extensible virtual world platform. * Presenting to a design conference to a global audience, where anyone with the ‘right’ combination of hardware and bandwidth can attend, free of charge to them. They don’t need to travel or even to leave home! * Defining the requirements for an event of this scope and developing a superb use case for industry conferences held in virtual worlds. The team working on presenting this conference have been working diligently at preparing the regions and ensuring that everything works smoothly. Shown here are images from the regions, which are open for visitors, and which will remain open after the conference. Please remember that if you wish to attend, you must have a Skype account for telephony and a ScienceSim account for the actual conference. You must also register; we will be processing registrations up till 10 pm on December 2nd. You will receive a confirmation email with login directions for the audio portion of the conference late on December 2nd. 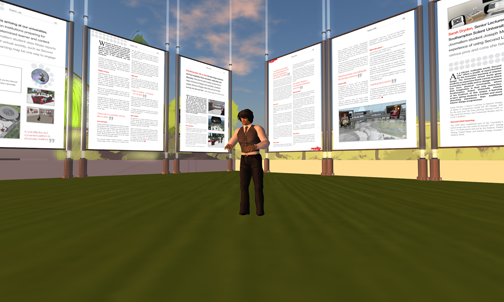 Please make sure you log in to ScienceSim in advance to acquaint yourself with the conference space, and to take advantage of the opportunity to customize your avatar. Fashion Research Institute is providing two areas for this purpose. 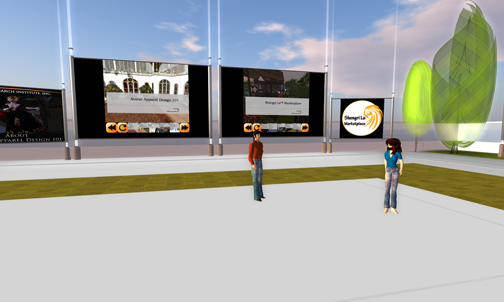 The Quickstart region in Shengri La Spirit 01 enables visitors to quickly select from choices for both men and women as well as a complete ‘corporate’ avatar look. The shopping region in Shengri La Spirit 22, where visitors can select from a wider array of clothing and other options in a full region. Both regions may be easily reached from the initial login site by simply left clicking the touch boards placed at the initial log in site. Everything in the conference regions are left or right click enabled, and there are ample ‘teleporters’ placed throughout the conference regions to enable easy movement. There are 9 regions of interest, which include the conference region (Shengri La Thread)with auditorium and exhibits. 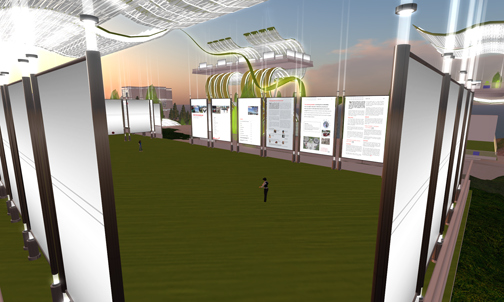 these exhibits include a poster session by Professor Suzie Norris of Southampton Solent; business services displays by Nolcha and Mythos Consultancy; and an exhibit by Fashion Research Institute. 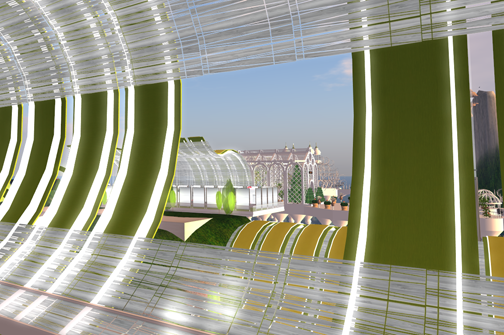 Additional regions include shopping (Shengri La Spirit 22), intern work (Shengri La Spirit 21), an industrial design exhibit (Shengri La Pencil), an art region (Shengri La Spirit 00), the FRI virtual campus and library (Shengri La Spirit 01 and 02), and a virtual runway (Shengri La Spirit 10). 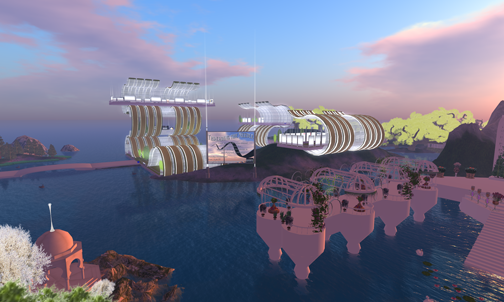 The historic large scale build Shengri La Spirit anchors the conference space and may be visited by all. We would like to thank Mic Bowman and his coworkers at Intel Labs for collaborating with us on this project. Their work has been instrumental in enabling the presentation of this conference for the benefit of a global audience fo fashion design students, designers, and educators. We would also like to thank the Intel Corporation for providing hardware, hosting and ensuring visitors have appropriate bandwidth for the conference. Please remember to register, and we’ll see you there! Virtual apparel is a burgeoning market. 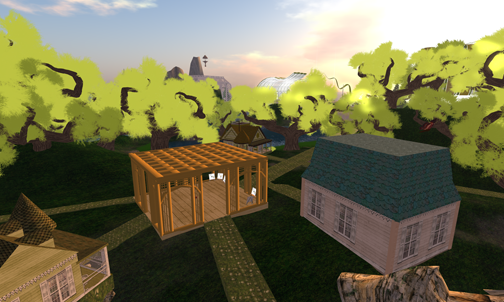 In 2007, more than $2.6 billion dollars of virtual goods were sold in virtual worlds, games, and immersive spaces. This figure is expected to double in 2010. 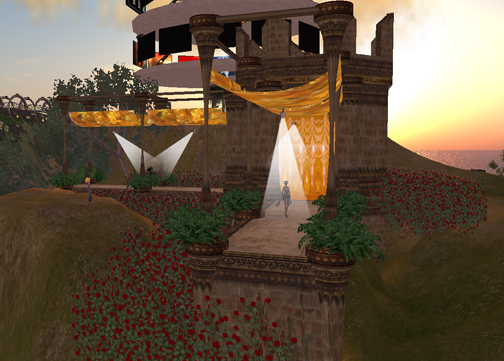 Avatar apparel – clothing, accessories, and footwear worn by avatars – is a huge part of these sales. Until now, there have been no programs specifically intended to help new designers become established in this area. The focus of the internship is to develop skills for virtual goods development, specifically apparel with a lesser focus on accessories and footwear. The intent of the internship is to assist interns to develop private design practices where they can create and sell their virtual goods. 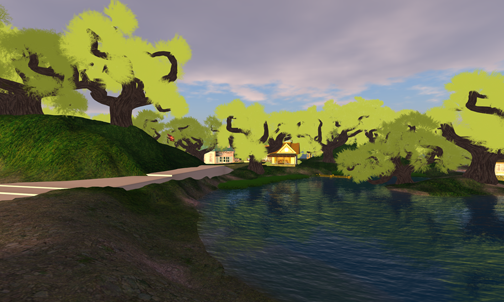 Interns are provided with classroom space and creation space in FRI’s OpenSim regions, and store front space on the heavily trafficked Shengri La regions in Second Life. Interns are taught using the patent-pending design methodology created by Fashion Research Institute, which is applicable to both avatar apparel and to their work developing physical apparel. These internships will begin January 25th and run until April 30. Interns are expected to commit a minimum of 6-8 hours a week to the internship, with formal training sessions provided on Monday evenings from 6-9 pm ET. Interns must commit to being present at these training sessions. Instruction is provided only in English. At the end of their internships, interns’ work will be presented in a virtual fashion runway show, with live models which the interns will style from hair to shoes. All interns will complete their internship with Fashion Research Institute with a completed collection of avatar apparel including concept boards to product ads, which may be added to their portfolio. A final presentation of their work will be created. Our Summer interns’ runway show can be viewed here. Applicants may be currently enrolled in design school or recent graduates. Some design experience and background is required; these internships are not suitable for freshmen. Internships begin January 25th. To apply, send your resume with 1-2 fashion images you have sketched or illustrated along with contact information to admin @ fashionresearchinstitute.com. Deadline for application is January 15th.